Very Good. Repackaged new edition of the sequel to Crow Girl. It's time for Lily to sort out the bullies once and for all. 88 p. Intended for a juvenile audience. Intended for a young adult/teenage audience. Good. Repackaged new edition of the sequel to Crow Girl. It's time for Lily to sort out the bullies once and for all. 88 p. Intended for a juvenile audience. Intended for a young adult/teenage audience. New. 2012. New edition. Paperback. Repackaged new edition of the sequel to Crow Girl. It's time for Lily to sort out the bullies once and for all. Num Pages: 88 pages. BIC Classification: 5AR; YFB; YXC. Category: (J) Children / Juvenile. Dimension: 205 x 150 x 9. Weight in Grams: 154. 96 pages. 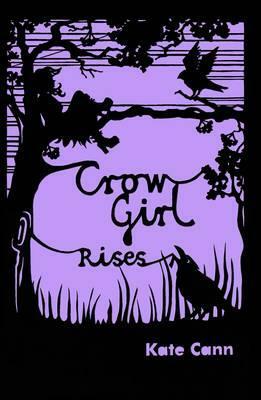 Repackaged new edition of the sequel to Crow Girl. It's time for Lily to sort out the bullies once and for all. Cateogry: (J) Children / Juvenile. BIC Classification: 5AR; YFB; YXC. Dimension: 205 x 150 x 9. Weight: 154......We ship daily from our Bookshop. New. 88 p. Intended for a juvenile audience. Intended for a young adult/teenage audience.